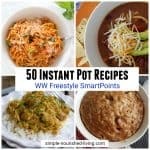 Weight Watchers Freestyle Program Review: Too Free or Too Restrictive? Home » Confessions » Weight Watchers Freestyle Program Review: Too Restrictive? Too Free? Just Right? 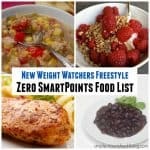 It has been more than six months since Weight Watchers launched its new Freestyle Program with its greatly expanded zero points food list, so it seemed like a good time to step back and do a review. Is WW Freestyle successful? Too free? Too restrictive? Just right? That all depends on who you talk to…. Why Are Some Succeeding on WW Freestyle While Others are Struggling? How can it be that some people are struggling with Weight Watchers Freestyle while others are succeeding? Some love it. Others not so much. The truth is that there is no one way to lose weight that will work for everyone. Lasting weight loss requires finding habits and behaviors that you can commit to for the long haul, a lifestyle and way of eating that work for YOU and YOUR LIFE. 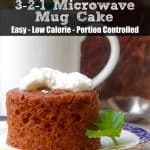 The best way to lose weight is the way you can stick with! You need to lose weight your way. For many people Weight Watchers is the way. Weight Watchers has been around for more than 50 years. During that time, the program has changed drastically and vacillated in its degree of restrictiveness. The original WW Program from the 1960s was extremely restrictive and became gradually more flexible as an exchange based diet, reaching it’s pinnacle of freedom in 1997 with the introduction of original Points Plan, which was essentially a proprietary way to count calories. In 2010, the PointsPlus Plan introduced a new calculation, the concept of power foods, and Zero Points fruits and vegetables. 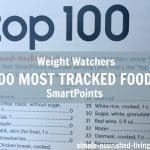 Many members struggled with the transition from Points to PointsPlus and again in 2015 with the transition from Weight Watchers PointsPlus to SmartPoints, when the points values of foods high in sugar and/or saturated fat went up. Suddenly, for many members what had been a manageable way of eating felt much more like a DIET. With all these different WW Programs/Plans some have thrived while others have floundered. Why? Then it hit me. 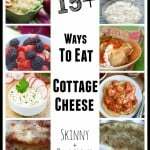 I thought back to a post I wrote back in 2013 after learning about the difference between Abstainers and Moderators and why it is a key to weight loss success. Some people – Abstainers – do better with firm dos and don’t. Others – Moderators – do better with freedom and choice. So a Moderator tends to do better managing the occasional sweet treat and resents the excessive SmartPoint price assigned to it. 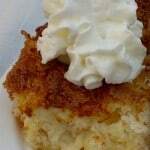 While an Abstainer may do better giving up certain sweet treats altogether. 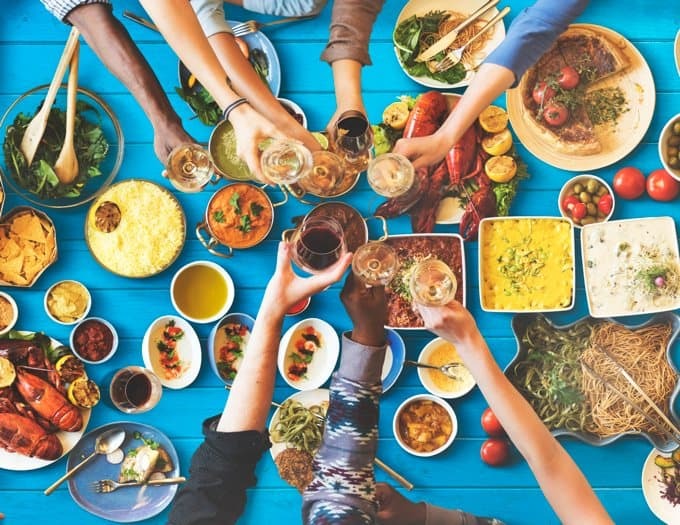 A Moderator may do well managing an expansive list of zero points foods, while an Abstainer may do better with a plan defining exact portion sizes. This helps explains why some people are thriving on WW Freestyle and other people are struggling and why on one weight loss program is never the solution for everyone. Love it? Hate it? Why??? I terminated my WW subscription after 4 months of Freestyle. It’s not for me and I was just throwing my money away. There are no “free” foods, I don’t care what food plan you follow. I lost 40 lbs on Before the Scale, this new plan is a diet, not a lifestyle. I joined WW for a lifestyle. It is restrictive and just not sustainable. It’s sad, because I really enjoyed the previous plan and ate a large variety of foods and still stayed within my points, and lost weight. I’ve since switched to the Lose It app and am looking into NOOM and the Optavia plan. You might want to check into the iTrackBites app, where you can us one of the old WW systems. I was super successful with their Points and PointsPlus programs. Everything since then has been a disaster. I even contacted Weight Watchers to see if there was any way to go back to the old program (I did everything online so I didn’t have the books) and they said nope. I miss the old programs! I Love the Freestyle program, I do believe that some may be overeating the zero point foods , therefore they are eating more calories. Even the zero point foods need to be consumed in moderation. Zero points does not mean zero calories. I made Lifetime in the late 80’s, so I am a long time Weight Watcher. I am seriously thinking about ending my subscription, though I’ve stayed 10 lbs above my goal for nearly 10 years. When I returned to WW 4 years ago, I was making progress toward losing that 10 lbs. Since Smart Points, it’s been all downhill. Make no mistake, Freestyle is a DIET and a restrictive one. I prefer “counting” all the food I eat. I eat a great deal of chicken , for example, and by not counting it, I end up taking in more calories by using my points for other foods. If I choose to have dessert on Saturday night, my weekly points are short as even 1 cookie is 5 or more points on average. This latest rebranding nonsense is like a red flag because I’m so angry that the program has become unworkable. Meeting attendance looks like it is down and many of us spend our time complaining about our frustrations. I don’t like the diet and restrictive feeling of Freestyle and I am tired of paying my hard earned dollars to lose and regain the same 3 lbs. So glad to know that I am not the only one that is totally bummed with Oprahs diet changes. )obviously it’s not working for her either!) The PP worked so well for me & I got many people to join. I don’t know where to go now. Such a bad diet! 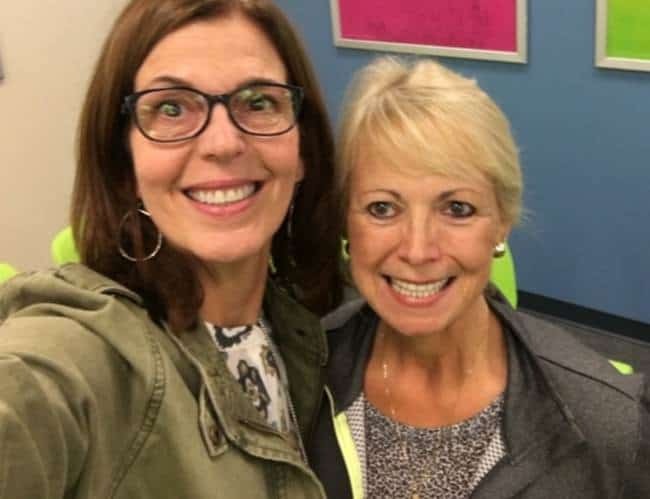 I reached Lifetime with SmartPoints and Simply Filling and lost between 45-50 pounds that way. Then my weight crept up, so I decided to rejoin. So bummed that they discontinued SF. It was a way to encourage mindful eating, and mindfulness in general. I’m not sure how to begin tracking points now because 1) it’s been a while and 2) with SF I only tracked some foods. Right now, I only have 23 points/day, and it doesn’t feel like enough. I’m foregoing half and half in my coffee because I’d rather use the few points I have towards something more interesting. Also, I cook a LOT at home and plan to go to culinary school in the fall. It’s tedious to have to spend 5 min creating a recipe in the app so I can track it. When I go out to eat, it’s almost never to chain places, so I have to guess. Fortunately I only have 10 lbs to lose, so I’ll hopefully finish in a month before discontinuing and finding a new maintenance plan that isn’t WW. I feel the exact same way you do. I would rather count everything and be able to eat everything. This new plan is too restrictive. I had 1 Pepsi and it cost me 10 points. Needless to say I gave up that day because I only get 23 points a day. Free style reminds me of Atkins or ketosis….I refuse to do those because of the restrictions. Now here goes ww doing the exact same thing. Hince the reason behind the name change . It no longer has the same concept it once had. This new plan has caused me nothing but grief and do overs. I loved it while nursing! I lost quite a bit fast! But now I have less than half those points. I am disheartened, more tempted to cheat, and struggling to lose the weight. I do need motivation to reign in carbs and sweets, but being able to enjoy a slice of pie now and again without starving would be nice! I also think that I succeed better in warmer months when I can get out and get more fit points! PS I love eggs, but I am getting sick of them! I miss oatmeal! I hope WW reads these posts. Going into the negative, is not really a reasonable solution. WW, or weight watchers as it used to be known, has taught people for years to stay within their budget, and now there’s this strange encouragement to go negative and it’s “OK.” Or eat an egg! It’s really disheartening for those of us who’ve been long-term members, successful members (70lbs, but since Freestyle, up 12…). The new freestyle is much too restrictive, definitely more protein oriented, and if that’s not the way you eat, it doesn’t work and you feel defeated and like you’re on a diet, especially when you see your points in the negative. Beans, chicken breast, eggs, enough! I’ve used a different app now and it is working far better. I still go to the meetings, but have considered leaving. I committed to Weight Watchers, not WW. Thankfully, I have a super “coach”. After seven years, to go into the negative because I ate chicken thighs, is really silly. I have no problem tracking everything I eat and was encouraged to do so by Weight Watchers FOR YEARS! I completely miss the prior (smart points) program. I have now gone to the app itrackBites to follow the prior program. 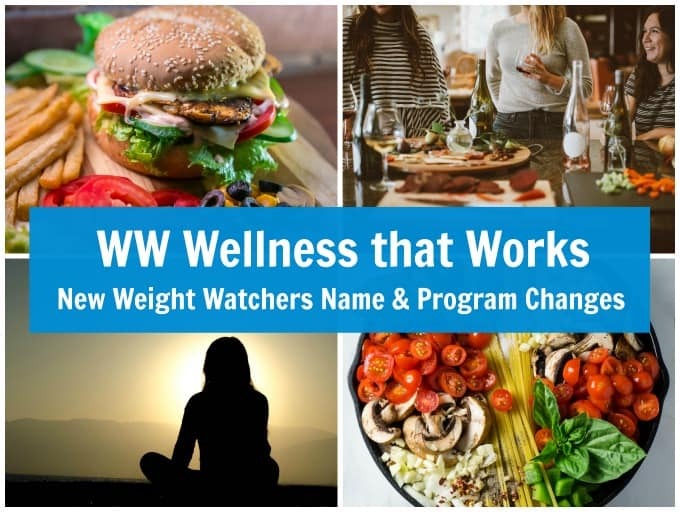 That works far better for me and weight watchers, or WW, should allow for a choice, especially for all those members who have been members for years and have dutifully made changes as weight watchers has progressed over the years. 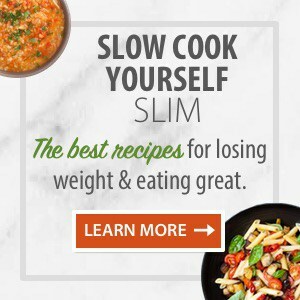 I have switched as things have changed and I really tried with Freestyle, but this one doesn’t work for me or for five other people who I know who’ve been going to weight watchers and had success for the past 3+ years, all five have put on 10+ pounds since the new program, because it feels like a diet. I’m certain that it works for some of the people, but it doesn’t work for everyone and it’s not fooling anyone with how it’s hitting the current fad of the protein diets. I anticipate that 2 to 3 years out, many of the people who have lost weight, will have put all or most back on, because it’s too hard to live that way. WW, please consider allowing more options with the program. And the “wins” aren’t wins when you’re gaining. Not nearly as healthy as I used to be…? I am quitting WW (meetings and everything) this week. I HATE FREESTYLE! I’ve been following this for over a year so I’ve given it a fair trial. I lost 75 pounds fairly easily on SP and made it to my goal. I was happily maintaining at 128 pounds on 38 points a day. Then, during the 2017 holidays I gained 9 pounds, just around the time they introduced FS. Guess what? I never lost those 9 pounds and have been gaining even more. They cut my points down to 23 which is an impossible number for me even with the free food. I LOST 15 POINTS! I’m tired of paying $45 a month for a plan that isn’t working for me. I’ve found an app that will let me switch back to SP and I won’t miss the meetings because I’m so tired of hearing “Rah rah Freestyle.” I feel totally and completely betrayed by WW. I met my goal on Smart Points. It was totally doable. I still got my sweets and ate plenty. Two weeks on freestyle and I hate it. WAAAAY to restricted, all I eat are vegetables and chicken. 23 points are not enough. Let’s face it. If we ate like that already, we would not be on Weight Watchers. The adjustment is too much. So I found an app that would track food on the Smart Points plan and I switched. Feel happier already.